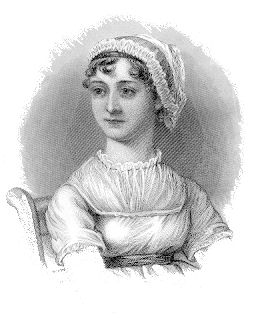 Who could resist an English Country Dance to celebrate Jane Austen’s birthday? 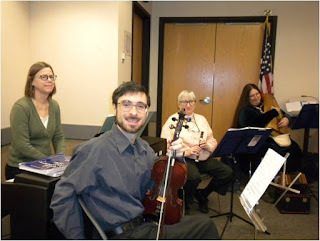 Not our North Coast group, who gathered at the Twinsburg library. 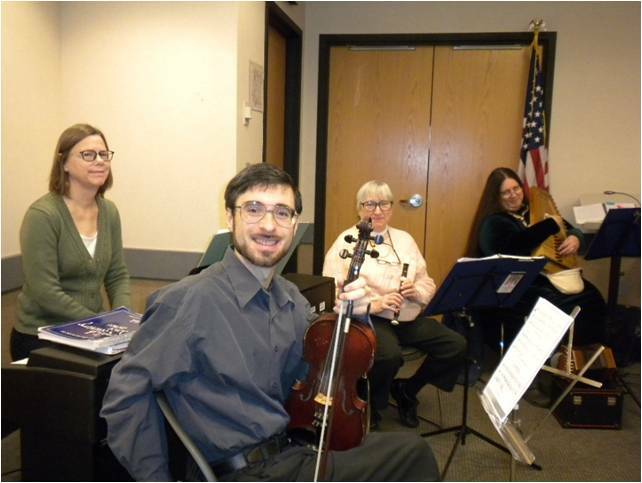 Including our guests, there were 36 present to frolic to live music provided by Toad in the Hole, and cake provided by our hospitality coordinator Caroline Chesebrough. 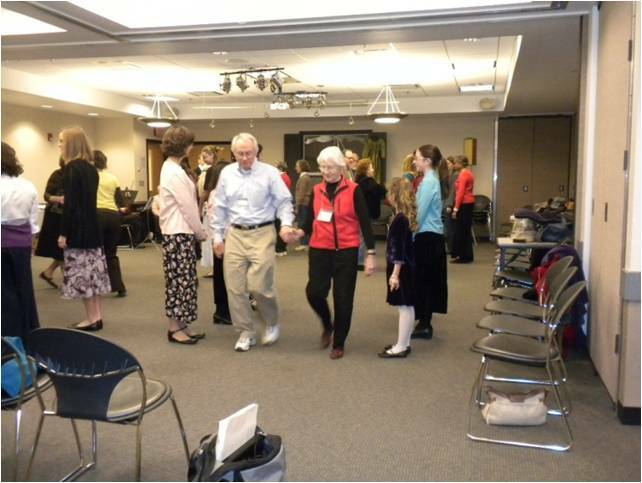 Local English Dance caller Carol Kopp paid us a return visit to call the dance figures. Besides some exciting new young faces from the Mansfield area, our guests included one Country Dance group from Gates Mills, Ohio and another from Broadview Heights. With the help of these more experienced dancers, our skills are improving! middle, while Helen and Katie Arendt wait to take their next step.